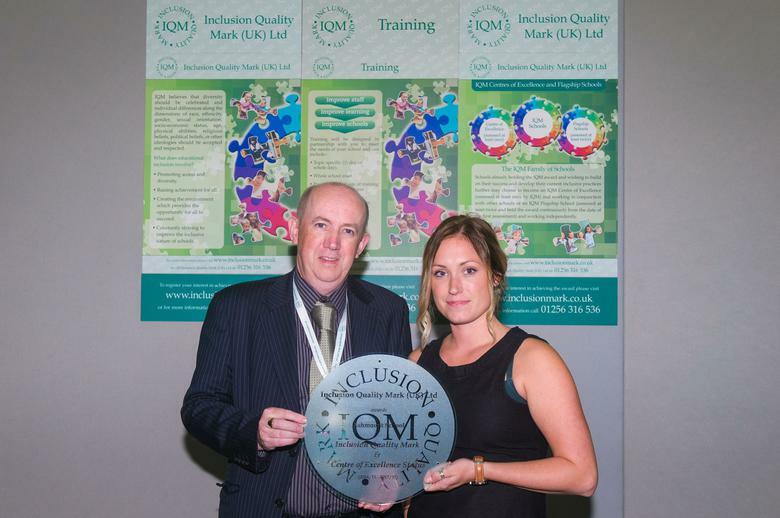 Ashmount School has received the highest level of the national Inclusion Quality Mark Award. After much work compiling the evidence of the wide range of inclusion work we undertake Charlotte Young (Class 1A teacher) went to London to collect the I.Q.M. 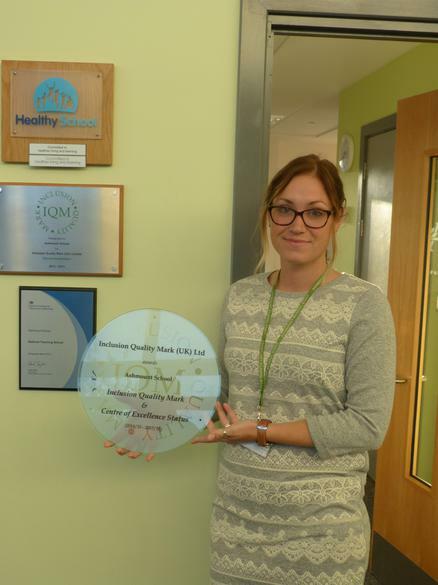 Centre of Excellence Award on Tuesday22nd September. The Award was presented by I.Q.M. Director Joe McCann at The Institute of Directors. This is a step forward from our previous recognition of I.Q.M. status and celebrates the work we do with other schools to ensure the very best provision for children with special educational needs.